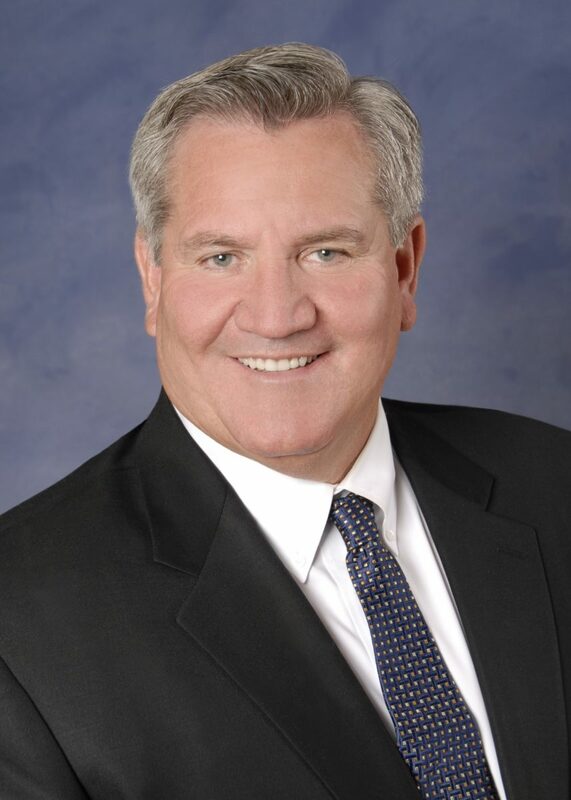 Robert K. Barkley is President and CEO of Barkley Ag Enterprises, LLC, which provides administration and management oversight to affiliates Barkley Company of Arizona, Barkley Seed, Inc., and GreenGate Fresh, LLP. Barkley Company of Arizona is a family farming operation based in Yuma, Arizona, growing several thousand acres of vegetables, citrus, cotton and grain annually. Barkley Seed, Inc., also based in Yuma, operates throughout the southwestern United States marketing wheat, grain and forage seeds. GreenGate Fresh, LLLP, based in both Yuma, AZ and Salinas, CA, is committed to providing high quality salads to the foodservice industry. The Barkley legacy began in the early 1900’s with homesteaders Hugh and Les Barkley. For over 85 years and now in its fourth generation, the Barkley family has promoted education and employment opportunities as life-improving factors for many area residents. Robby has not only maintained his family’s passion for progress within his communities, he has become a leader and a champion of science and education. Robby has a unique ability to develop and articulate a vision that brings others (scientists, producers, managers, etc.) to a common set of objectives. In so doing, the need for the development of a better understanding of the biological and physical phenomena that we are trying to manage in agricultural systems takes on greater clarity for everyone. Robby then commonly helps facilitate the development of suitable research and educational protocols with the appropriate scientists to address the question or problem at hand. By communicating with the production community, he keeps them engaged in the process and ready to marshal the resources needed to get the work done. A great example of Robby’s talent in bringing good science to the application of real problems can be evidenced in the development, validation, and application of crop production models that Robby and his farming company cooperated with in the late 1980’s and early 1990’s. Robby was instrumental in helping bridge the critical gaps in the early efforts to implement Integrated Pest Management (IPM) programs in Arizona cropping systems. This was a huge endeavor and Robby accomplished this by first educating himself, and then helping the scientists/educators translate their knowledge and information to crop managers in a useful manner. Robby was one of the first producers to embrace the concepts of soil-plant-water management on a quantitative basis in an effort to fine-tune crop-water management for better crop production efficiency and water conservation. When transgenic crops first became available, Robby was already way ahead of almost everyone else in the production community. He had educated himself on the details (genetics and methodologies) associated with the development of a transgenic crop variety and how they could be incorporated effectively in a crop production system for optimum ecological benefit. He was able to see the broader picture for transgenic crops in agriculture at an early stage of introduction better than almost anyone else in the production community and better than many of the scientist/educators bringing this technology forward. Robby has done an excellent job in the transgenic crop arena, where he has relied upon solid, science-based information to serve as a person of logic and reason in a realm full of emotion and hyperbole. Another very good example of Barkley’s commitment to his industry has been his work with Barkley Seed. He purchased a small seed company that was struggling, and has since solidified the foundation of the company by fortifying its fundamental plant breeding programs (a good scientific approach) and this company has expanded, grown, and extended tremendous yields. It is a real success story in itself, and can be attributed in large part to Robby’s capability of drawing upon good science and incorporating it properly in a crop production and business setting. Robby not only recognizes the importance of science and technological advances within his industry, but also has a deep understanding of the need for education in the industry. He has been vital in establishing and continuing a multi-institutional, (which includes the University of Arizona and Arizona Western College) education and industry team, whose mission is to promote education, provide scholarships, and mentor students from high school through university and graduation. While dedicating his own resources, he has also been instrumental in securing other private funding for the University of Arizona Yuma Agricultural Station, Glen Curtis Building, the Agriculture Science Complex to be shared by the University of Arizona, Northern Arizona University and Arizona Western College, and the unique Yuma County Ag Producers Scholarship, which will support students through AWC and UA, along with other community philanthropic endeavors.